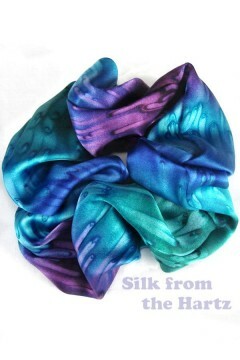 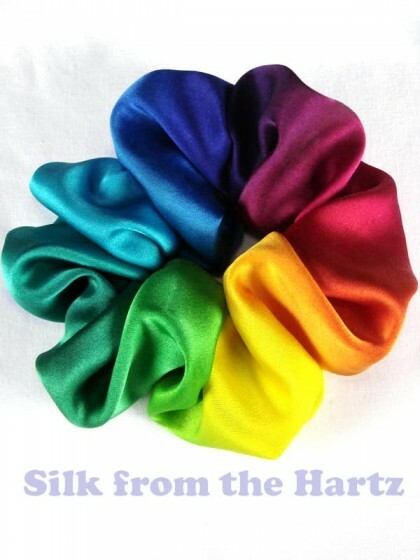 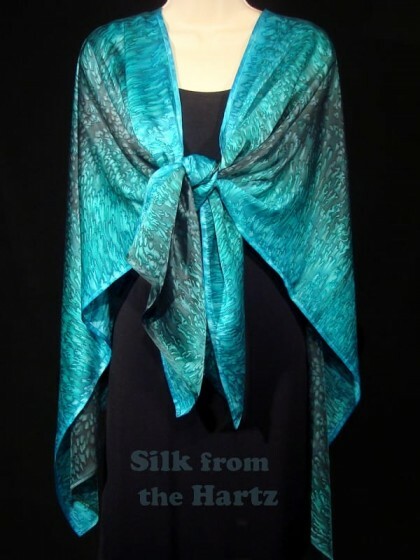 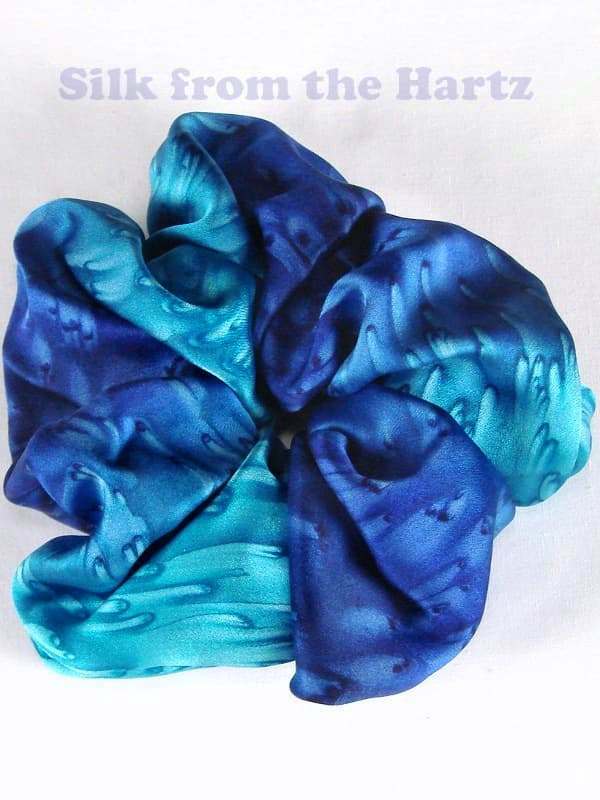 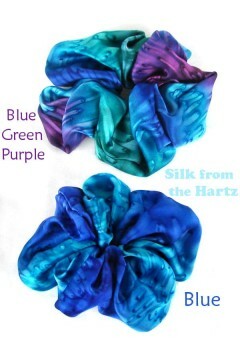 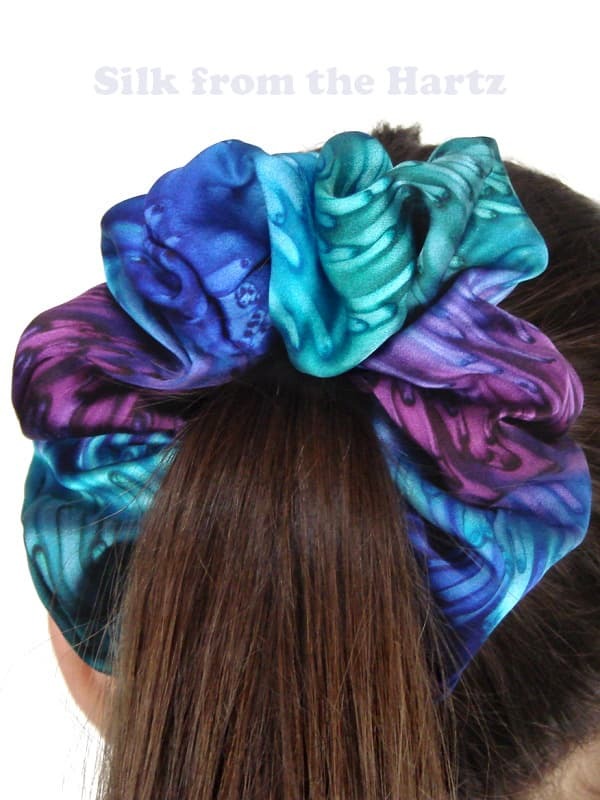 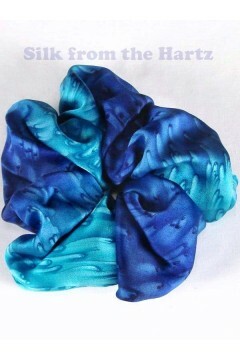 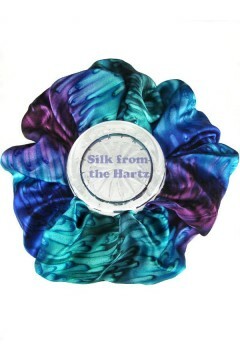 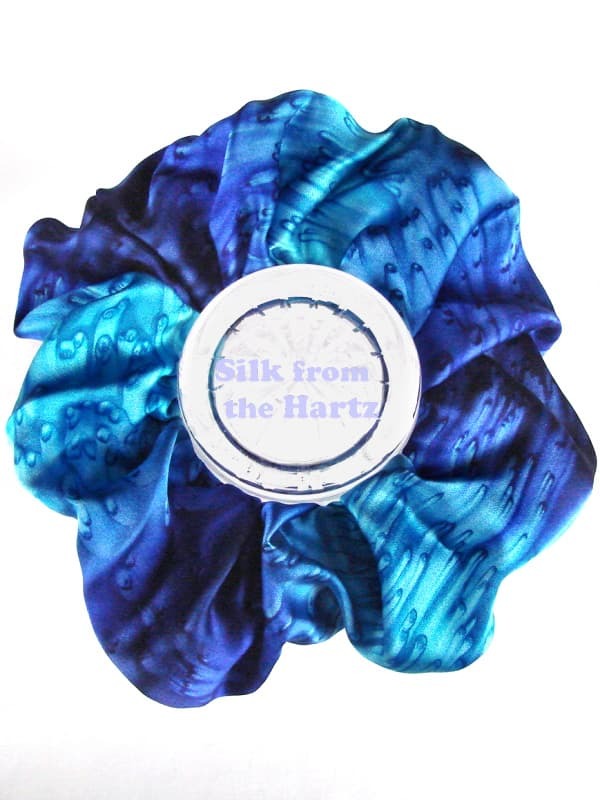 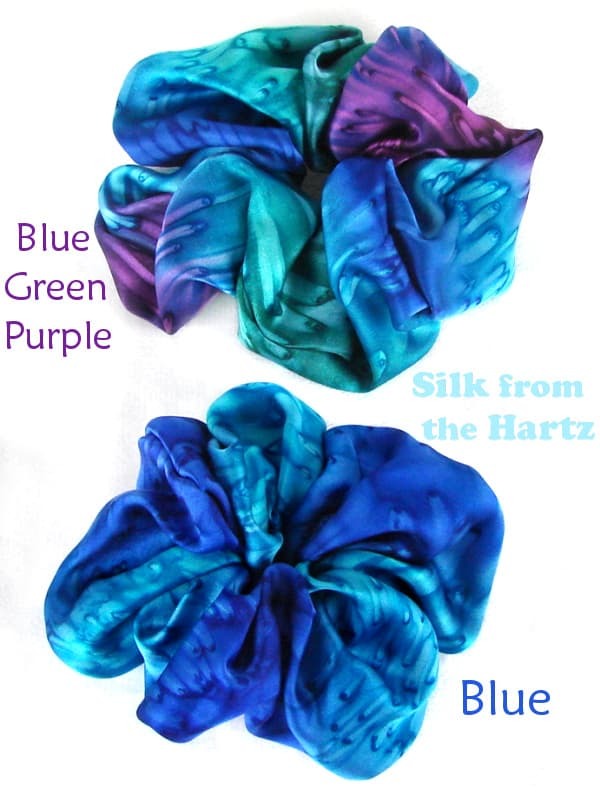 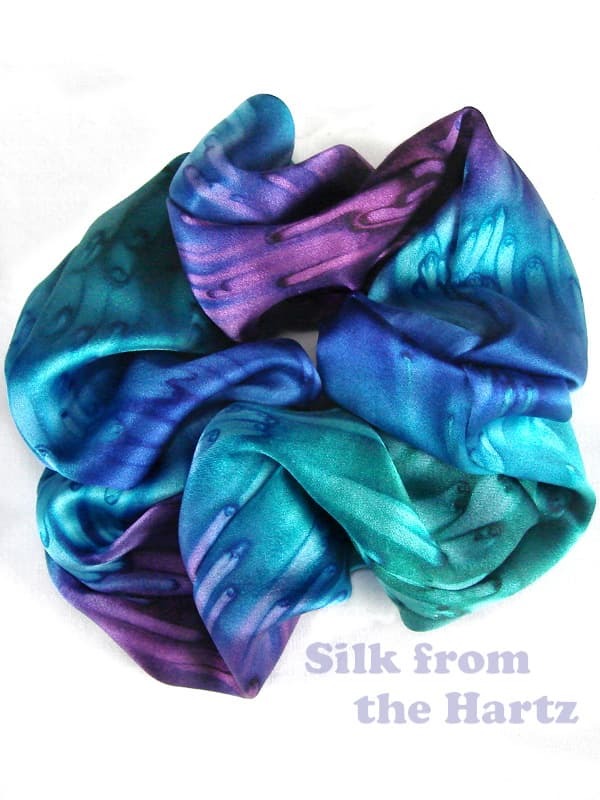 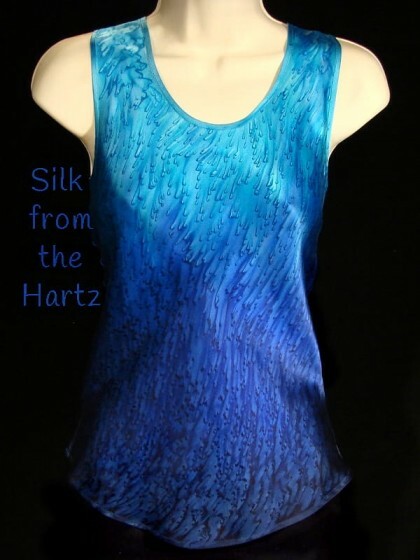 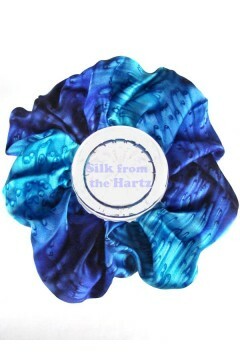 Soft silk scrunchies creatively hand dyed in beautiful royal blue and turquoise or cool blue, green and purple. 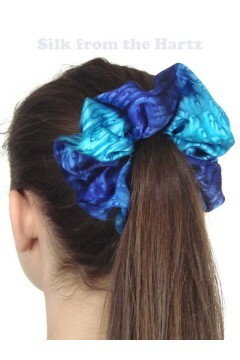 A unique gift idea for best girl friends. 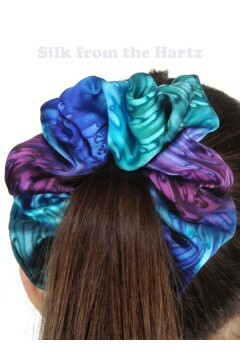 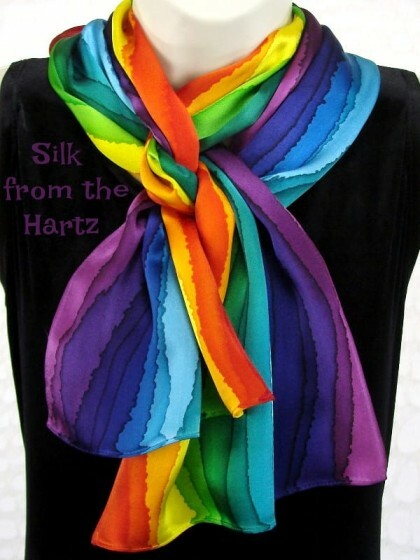 Add a splash of color to your hair! 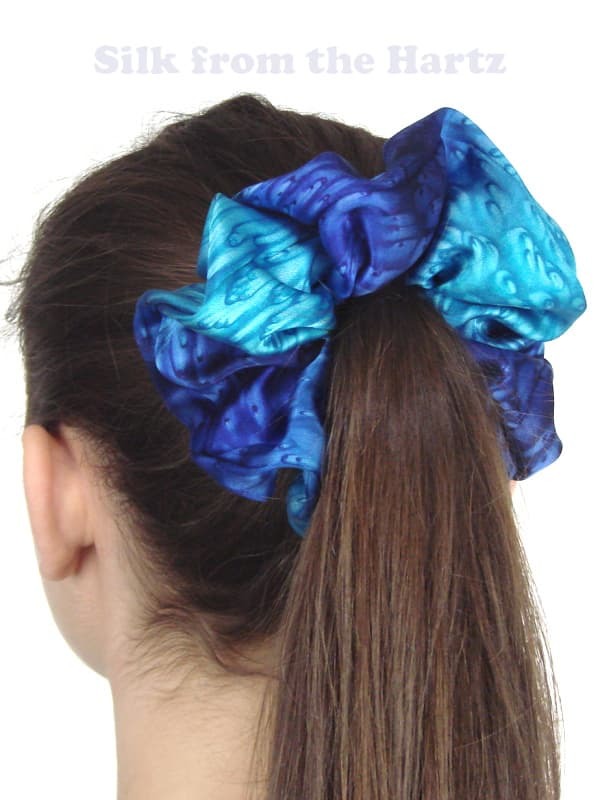 Elastic inside can be adjusted to make these silk hair scrunchies as tight or loose as you need them, for gymnastics or anytime. 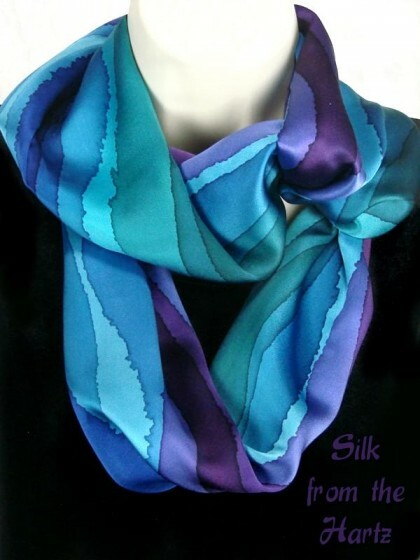 Blue Green Purple Silk Infinity Scarves Our striped infinity scarf is an awesomely beautiful accessory hand dyed..